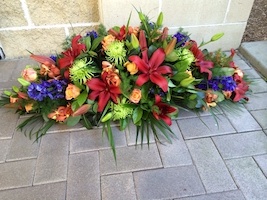 Need a florist to send beautiful funeral flowers to Macquarie Park Crematorium? Our award-winning flower shop offers same delivery if you order by 11am weekdays and 9am Saturdays. Pure Flowers create beautiful florals to share your condolences on the passing on a loved one, friend or colleague. Our florist team is here to help you order funeral flowers for services and memorials at the Macquarie Park Cemetery and Crematorium, Macquarie Park. We offer a wide range of funeral flowers including wreaths, tributes, sheaths, vase arrangements and casket sprays. These can be delivered to the crematorium or to the funeral home. We also create sympathy flowers such as bouquets, flower arrangements or posies, that can be delivered to homes and offices. We select the freshest flowers from the Sydney Flower Market and create unique arrangements in our Lane Cove boutique. With personalised service from owners, Elen and Ludmila, and our helpful team members, we’ll help you to select the right flowers or to fulfil any special requests. To order a casket spray, altar flowers or a wreath please call us on 02 9427 8214 to chat through your ideas. 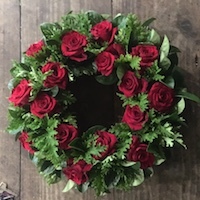 To ensure the smooth delivery of your funeral flowers, the following information is needed when placing your order for delivery to the Macquarie Park Cemetery and Crematorium. The Chapel or cemetery location where the service will be held. Macquarie Park has three chapels -Magnolia, Palm and Camellia and the Lotus Pavilion. If you need to confirm any funeral details you can look up the schedule of upcoming services. 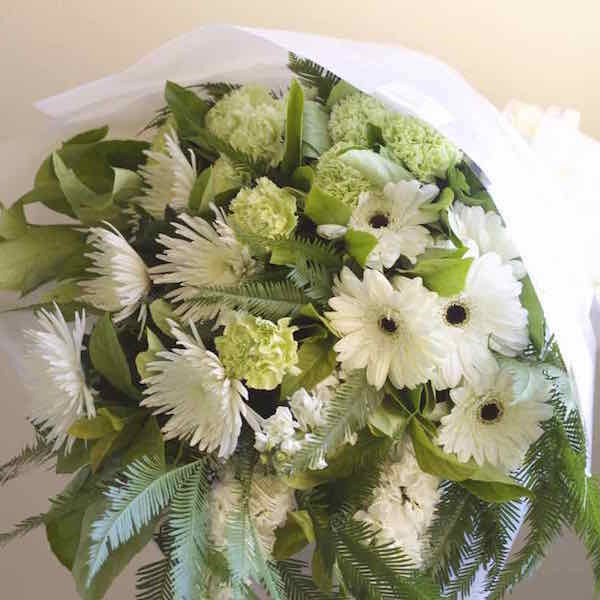 To help you select your flowers, we have developed a guide to Sympathy Flowers and tips on writing a thoughtful message to go with your sympathy and funeral flowers. Macquarie Park Cemetery and Crematorium is one of most beautiful memorial parklands in Sydney. It is set amongst tranquil gardens. The facility is open 7 days a week and located within walking distance from North Ryde train station. it offers a modern crematorium and chapel complex, disabled parking, an onsite cafe and catering facilities. Please contact us on 02 9427 8214 to discuss your special requests when sending funeral flowers to Macquarie Park Cemetery and Crematorium, as we are here to assist you at your time of loss.